Fall is Second Grilling Season! Are You Ready?What Ailments are hot tubs good for? Pumpkin everything, bonfires, s’mores and …pools – ahhh, the stuff that Fall is made of. Okay, maybe you don’t traditionally think of pools when you think of Fall, but that doesn’t mean that your backyard pool can’t be a fun addition to your Fall party. We have put together a quick guide to help you plan the perfect Fall Festival for your neighbors, co-workers, church group or family. Don’t worry we have included some great suggestions for incorporating your pool into the festivities so you can get one last party out of your pool before closing time. Start with a guest list. You will want to decide who you are going to invite to enjoy your festivities. Decide whether you want a big party with everyone you know or more of an intimate gathering with just one of your many social circles. If you plan to invite more than one circle of friends, be sure that you choose people who have things in common so everyone will have an enjoyable time. Once you know who you are inviting, you need to spread the word about your event. You can send out traditional paper invitations, a more contemporary online invitation, or a very informal word-of-mouth invite. There are obviously pros and cons to each type of invitation, so be sure to weigh out what will be best for the mood you hope to set for your party. This is where the event planning gets fun! It is time to start planning your party. With a Fall Festival type party, you will need to make sure you have plenty for your guests to do. After all, they are expecting a festival. Fortunately, Fall provides so many fun activities that you can easily come up with several activities your guests will love. From traditional Fall activities like hay rides and bobbing for apples to lawn games and good conversation, there are plenty of things to keep your guests entertained. We did say this was a Fall Festival at your backyard pool so you will definitely want to make use of your yard’s best asset. There are a couple of ways to do this. If you have a heated pool (and you hit on a warmer day) one of your party activities can absolutely be swimming. Most guests will jump at one last opportunity to enjoy the pool. If the weather is too cool or you have a bit of a calmer crowd, you can still enjoy the pool. Add some floating candles or color changing pool lights. People love the ambiance that a pool creates even if they aren’t swimming. Just picture it, beautiful candles floating in the pool on a crisp night with the smell of your nearby bonfire. Your guests will love it! Don’t forget the food. Your guests will come ready to eat! Fall is a great time for foodies. Even if you aren’t caught up in the pumpkin craze, there are still tons of comfort foods that scream Fall. Soups, chili, and hearty casseroles are all things that people don’t typically fix in the summer, so chances are that your guests will be ready to devour your Fall fare, no matter what you choose to serve. The crowning jewel of any Fall get-together really is the decorations. 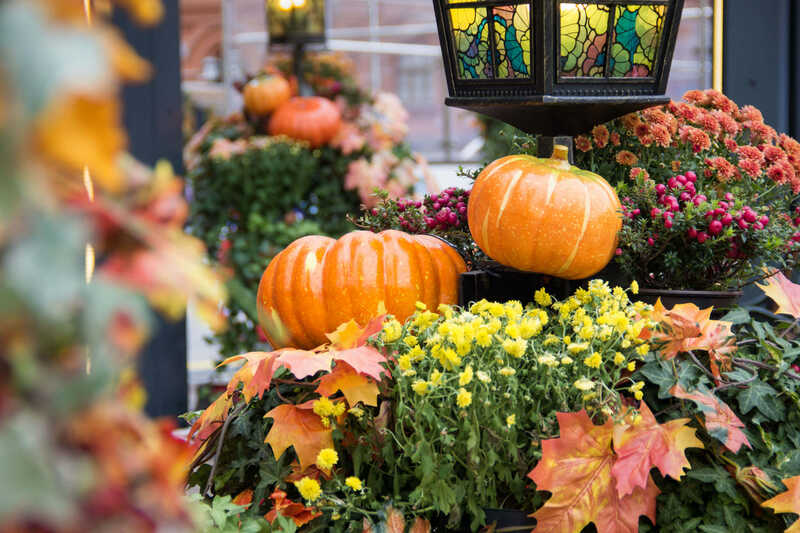 Big pumpkins and colorful mums make perfect Fall Festival decorations and they last for weeks. Your party decorations can double as beautiful outdoor decor to keep the spirit of your party going all season. So what are you waiting for? 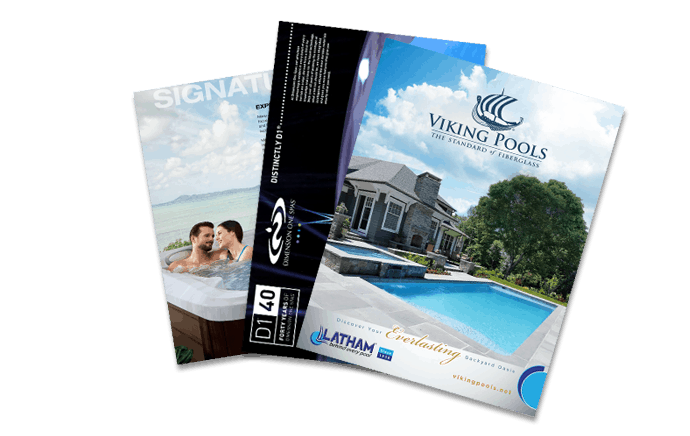 Throw one last hurrah to welcome in the new season and give your pool the farewell that it deserves! After your party, give us a call at Aqua Pools, we will come get your pool closed for winter so you can enjoy Fall.